Slasher movies. You’ve seen one, you’ve seen them all. A bunch of teens hang out somewhere isolated, some unknown local crazy hunts them down one by one and finally there is only one survivor left. Oh yeah, the villain never really dies; somehow he (or part of him) goes on living. How else could you have a sequel? Well, forget all that stuff when you watch this movie. This one turns the entire genre on its collective head. 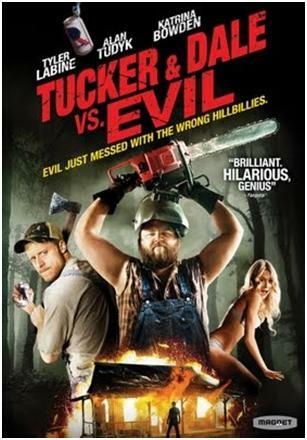 Tucker and Dale has to be the very best slasher film I have ever seen. You just won’t stop laughing, no matter how many people come to a gruesome end. This movie was just too much fun. Warning: the trailer seems to give away a bit too much. Just take my word for it that you are going to love this film and go watch it right now! Starring: Tyler Labine, Alan Tudyk, and Katrina Bowden. This is another quirky romantic comedy with emphasis on the quirky. 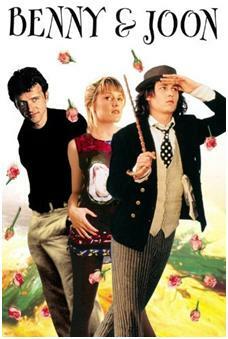 It is an early film that features some up and coming stars (Johnny Depp, Oliver Platt) in an odd and fun tale that is notable for its unique story, fine acting, and superb character development. Depp plays Sam, an eccentric bordering on mentally ill, character who falls for Joan (Mary Stuart Masterson) who really is mentally ill. She has been under the protection of her big brother Benny for most of her life. Then along comes Sam. This was a fun and thoughtful moive. Starring: Johnny Depp, Mary Stuart Masterson, and Aidan Quinn. I know, I’m heavy on the romantic comedies this month. Well, at least some of them, like this one, are pretty good. And believe it or not Jennifer Anniston is not in this film! Mark is a guy who breaks up with every girl he dates, no matter how great the relationship is. It’s just that when he hears that word ‘love’ he gets really frightened. What to do after a breakup? Take up a new hobby. He has a closet full of old hobbies. This time he opts for karate classes. Unfortunately the karate class turns out to be more of a mental health clinic with a twist. Typical romantic comedy? No. Will you enjoy it? I know I did. Starring: Bryan Price, Caitlin Shultz and Taylor Dooley. 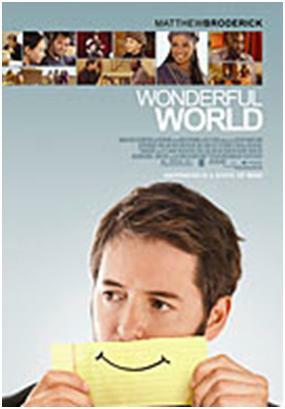 This British film is unusual and well done. 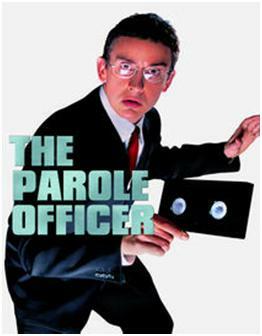 The story follows a parole officer (not a very successfully one at that) who manages to uncover some crooked dealings within the police department. On top of that, he is a witness to a murder perpetrated by a senior officer. When he attempts to rat on the felons, he is framed by them. This is the story of how he puts that frame back where it belongs … with plenty of humor. The trailers for this movie are a bit strange. One has “On the Ritz” playing in the background. Then You Tube even has the entire movie available. In any event, this was one great movie. I find that I am liking British comedy very much. Maybe you will too. Starring: Steve Coogan, Emma Gilmour, Susan Jane Tanner, Lena Headey. A drama, a comedy, who knows? This one was a bit difficult to classify. I do know that it was an enjoyable film that features Matthew Broderick in an unexpected role. Broderick plays a divorced dad who just lost his job and whose roommate enters the hospital due to his lapse into a diabetic coma. Things seem to change a bit when the roommate’s sister flies in from Africa. While all this goes on Broderick is trying his best to relate with his daughter who he sees only on weekends. After looking around on You Tube it appears that they really pushed this film quite a bit when it came out. Give it a try. You will like it. Starring: Matthew Broderick, Sanaa Lathan and Michael K. Williams. This entry was posted in Netflix Instant Movie Reviews - Over 70 Films & Series, Occasional Commentary. Bookmark the permalink.